What happens, if someone is a cookie manufacturer’s female CEO, at the same time full of passion and creativity – and still a young girl at heart? Delicate, crunchy princess crowns, embellished with diamonds (or…hold on…maybe they were sugar crystals? ), hiding green froggie princes. 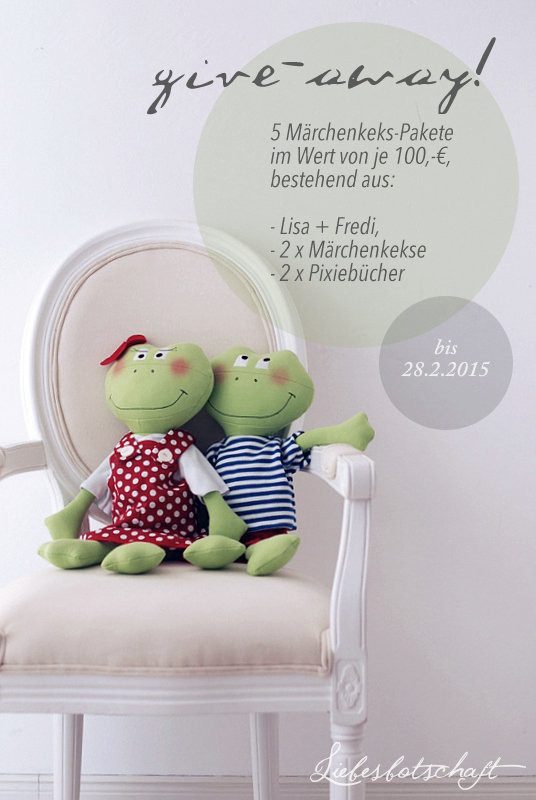 But these are no ordinary frogs – they are Lisa and Fredi! 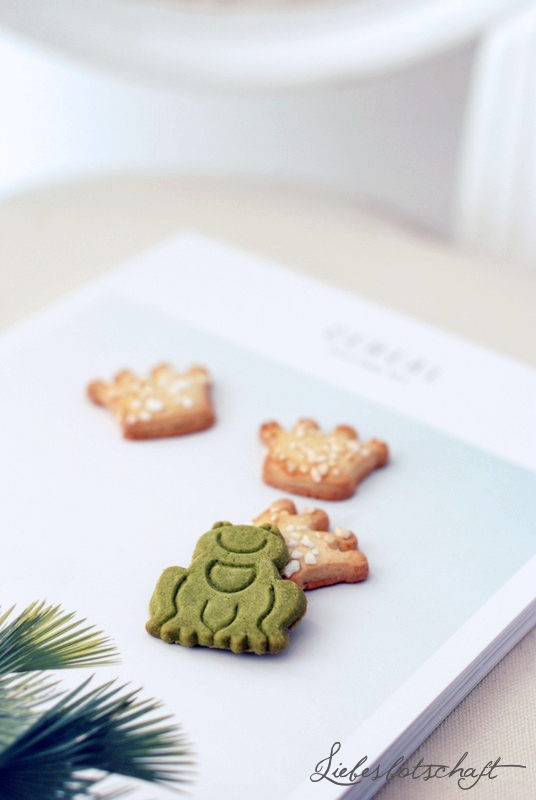 Stories about the smell of cookies, big froggie adventures and finding happiness in small things. A sweet (no pun intended) idea, isn’t it? Lisa and Fredi cookies are packaged in pretty, sturdy tins, while a little accordion fold booklet on the lid tells their story. Everything is lovingly designed and of high quality and is perfectly suitable as a little gift for anytime – or as a snack on the couch while reading to somebody. Lisa and Fredi are usually only to be seen on the pages of books or as a snack. 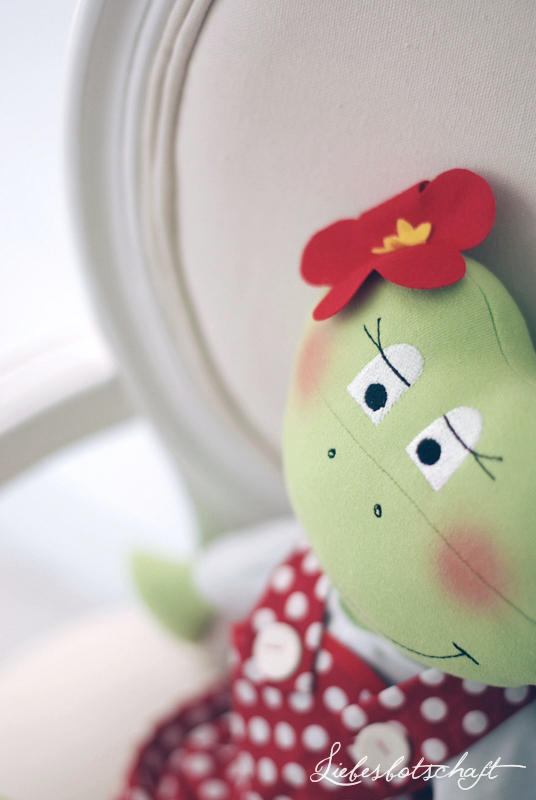 Because today, at Liebesbotschaft exclusively, you can win these georgeous soft toys, hand-sewn in Germany! 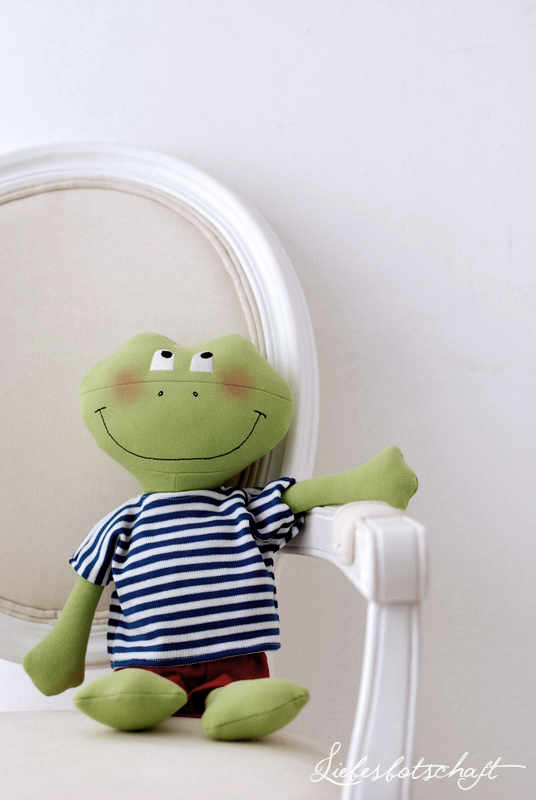 The frogs are cuddly and soft, each is about 20” tall and embellished with loving details, such as embroidery and appliqué. 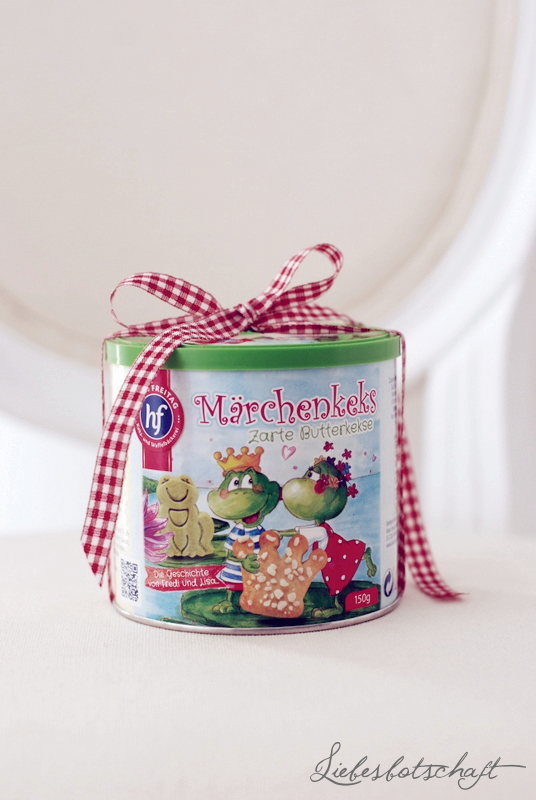 Together with the Hans-Freitag-shop I give away the following: 5 froggie couples, each paired with 2 tins of fairytale cookies and two small softcover books. Each fairytale package is worth about 100,-€. Leave a comment in the comment box of this post: if you like you can tell me you would like to surprise with the fairytale cookies. The competition starts now and ends on February 28, 2015.